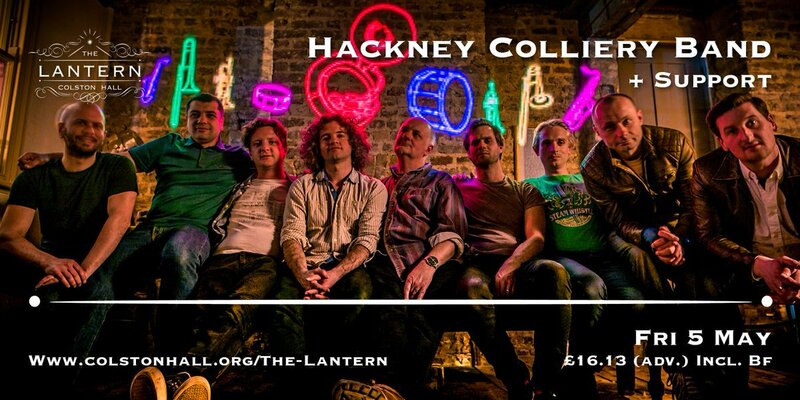 Hackney Colliery Band have had a simply phenomenal few years. From playing a 45 minute set at the Closing Ceremony of the London 2012 Olympics and sets at the MOBO, Brit and Mercury Awards to live sessions on BBC Two, BBC Radio 2, Jazz FM and worldwide airplay from many more, from collaborations with the likes of Amy Winehouse and Madness to selling out clubs across Europe and a tour schedule even taking in the Faroe Islands, these east London musicians haven’t stopped. Support from Bristol’s turntable master DJ Cheeba. The Hackney Colliery Band is east London’s unique take on the brass band. Featuring trumpets, trombones, saxes, sousaphone and marching percussion, this band specialise in high-energy, good-time music that takes inspiration from New Orleans Brass bands, with a tongue-in-cheek (yet respectful) nod to the great tradition of the UK colliery brass band. 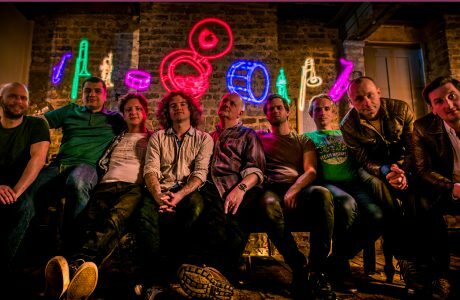 They bring the tradition bang up to date with an eclectic repertoire that spans funk, hip-hop, rock, Balkan brass, electronica and contemporary jazz, with unexpected covers of Goldie, The Prodigy, Kanye West,Toto, and more. Hackney Colliery Band love a good collaboration, no matter how unlikely, and have worked with Amy Winehouse, Eliza Doolittle, and Jamie Cullum to name but a few. They’ve even made forays into the catering business, with their own brands of sausages and ale. New projects are always presenting themselves, and the band have taken on some big ones: in 2012 the band took a very special commission for the Closing Ceremony of the London 2012 Olympics, culminating performing to a global audience. As of January 2014, the band have a monthly residency at world-famous jazz club Ronnie Scott’s with a series of experimental music nights, featuring collaborators from a broad cross section of London’s music scene: electronica artists, free jazz musicians, and singers. It’s hard to say what they will try their hand at next, but whatever it is, it’s probably going to be big.